Small but colorful. Confocal images of live E. coli bacteria. 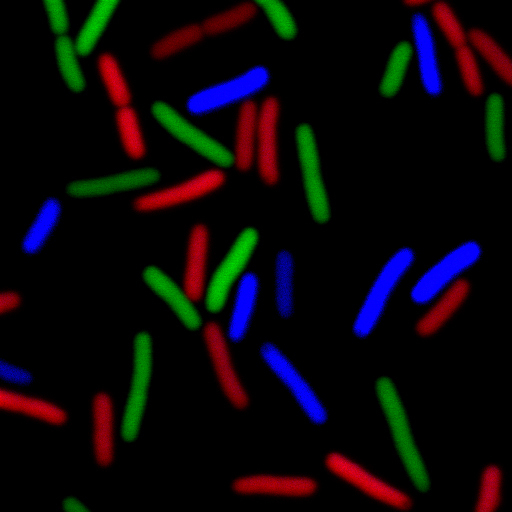 The cells have been modified to express three different fluorescent proteins, GFP in green, Cerulean in blue, and mCherry in red. 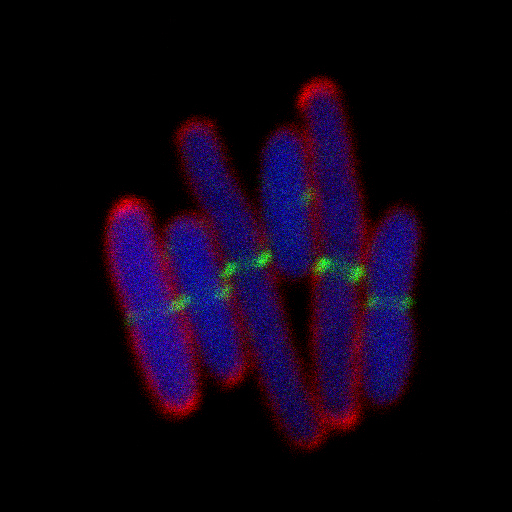 To better understand the cell division process we follow these cells under the microscope throughout their life cycle as they grow and multiply. I feel happy just by looking at them as they much resemble the sprinkles that you as a kid would put on the ice cream on a hot summers day, don’t you think? !